1. 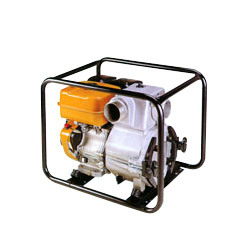 Suction x delivery dia in: 4" x 4". 3. Max delivery vol, /min: 2300. 1. Engine (model ): water EX27 / trash EH36. 2. Engine (fuel tank capacity): 6.1/ 7. 3. Engine (fuel): automobile gasoling. 4. Net weight (kg): 61 / 67.5. 5. L x W x H (mm): 650 x 499 x 550.